Todd Gilliland heads to Bakersfield, California, on the hottest winning streak in 50 years. Even if he doesn't equal the all-time NASCAR K&N Pro Series mark for consecutive victories to start in the series, the 15-year-old from Sherrill's Ford, North Carolina, is in pretty exclusive company. It's a club that includes two drivers in the International Motorsports Hall of Fame, the 2015 Daytona 500 winner and Gilliland. That's it. In the 62-year history of the NASCAR K&N Pro Series – dating back to the West Series' beginnings as the Pacific Coast Late Model Series – just four drivers in both the East and West have won the first two series races to start their career. Dan Gurney. Tim Flock. Joey Logano. And the most recent addition: A third-generation driver with California roots and a North Carolina upbringing; who was 5 when the still youthful Logano made his mark. The weight of the names are not lost on Gilliland. 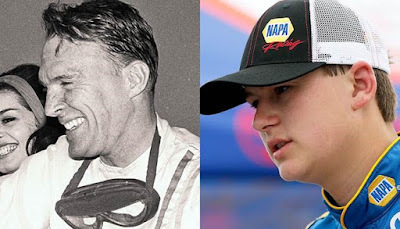 The teenager is well aware of his racing history, especially in the West, where his father David and grandfather Butch each won races. "I would say my overall success has come from preparation: from my family and I, and working from where we started to be ready for an opportunity like this," said Gilliland. "It would be such an honor to tie a record with such a motorsports legend as Dan Gurney." Gurney, whose résumé includes wins in NASCAR's Grand National (now Sprint Cup) Series as well as the 24 Hours of LeMans and Formula One, holds the all-time record with four straight victories between 1963-66. Flock, who would capture two NASCAR Grand National Series championships, won his first two West starts in 1955. And Logano, who graduated from 2007 NASCAR K&N Pro Series East champion to Chase for the NASCAR Sprint Cup title contender, won the first two K&N Pro starts of his career. Gilliland surpassed Flock and Logano with his win at California's Irwindale Speedway on March 19, and can match Gurney's streak with a win at Kern County Raceway Park Saturday night. Gilliland initially made headlines when he became the youngest winner in series history with a victory in his NASCAR K&N Pro Series West debut last fall at Phoenix International Raceway. He followed up by winning the 2016 NASCAR K&N Pro Series East opener in February at Florida's New Smyrna Speedway. That victory made him just the 11th driver to win in both the East and West. Running for the K&N Pro Series West championship for Sacramento-based Bill McAnally Racing, Gilliland opened the current West season by taking the checkered flag at Irwindale. Now the attention shifts to Kern, a high-speed half-mile on the outskirts of Bakersfield. 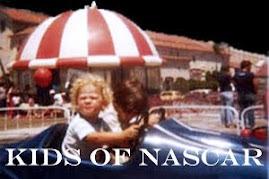 While he's tested at the three-year-old oval, it's another in a list of tracks that Gilliland will be competing at for the first time. He remains undaunted. "I’m looking forward to the challenge of going to all these new tracks and learning as quickly as I can," he said. "I'm hoping we can keep up this success and go after a championship this year." 32 times in the history of the NASCAR K&N Pro Series a driver has won their first K&N Pro Series start. Four times (Tim Flock, Dan Gurney, Joey Logano and Todd Gilliland) the driver has won their second start. Gurney won his first four starts, Gilliland has three straight, while Flock and Logano won their first two. If you were on hand last Saturday night at the Irwindale Speedway for the opening event of the 2016 K&N Pro Series West, be sure to catch all the action via television today. Series Rookie Todd Gilliland started from the pole and took the lead back from Ryan Partridge on Lap 123 to win the Toyota/NAPA Auto Parts 150. His victory was his second consecutive victory in his second straight start in the West. This race offers a close-quarters, full-out, no-stops, three-wide, 150-lapper with great driving from some of the best young talent in the business on one of NASCAR's most respected, and most-competitive half-mile ovals! Set your DVRs and don't miss it. What no #nascar this week?????? What no #nascar this week?????? Looks like I picked a great week to be on vacation. So, while NASCAR Race Mom is traveling around Ireland; does that mean there is nothing NASCAR to share with her readers . . . . I loved it. We were sliding around and driving the hell out of the car. I had a blast. I had some good races there on the track with the No. 2 (Brad Keselowski) and the No. 18 (Kyle Busch) and a bunch of guys. Man, it was so much fun. Dale Earnhardt Jr.
It’s (lower downforce package) great. Every week has been fun, fun, fun.The cars are fun to drive, slipping and sliding. It’s a good challenge and I’m enjoying it. Dale Earnhardt Jr.
As my Facebook Friend, Forrest Goodgame reminded me: Go To Your Local Asphalt Short Track & Support This Weekend & Every Weekend !!!!! Blake Koch, age 30, did his first start in NASCAR K&N Pro Series West in 2008. The following year, Blake raced full-time in K&N Series together with a few starts in the Xfinity Series. After getting enough experience, Blake started to race full-time for MacDonald Motorsports in 2011 (Xfinity Series). Blake ended up in position 18 in the overall standings that season. After driving for various underfunded teams in 2012-2014, Blake manage to start all 33 races in 2015 for TriStar Motorsports and the statistics are telling us as a solid season for car #8 – average start 24.5 and average finish 24.5. Pretty unusual with exactly same start/finish statistics. In 2016 season, Blake was hired full-time for the new and interesting Xfinity Series team – Kaulig Racing. It is the sponsor, Leaffilter Gutter Protection’s owner Matt Kaulig who has formed this new race team. Kaulig Racing has technical alliance with Richard Childress Racing. 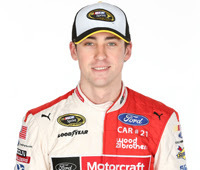 Crew chief is Chris Rice, who has long experience in NASCAR racing. Blake has started 152 times in the Xfinity Series (2009-2016) and including this season, he has an average start of 27.4 and average finish of 28.5. This season start with Kaulig Racing, Blake earned his first career top-10 finish at Daytona. With an average finish of 16.6 in five races, Blake Koch is finally on the right track. I think there could be more top-10 finishes for this new race team. 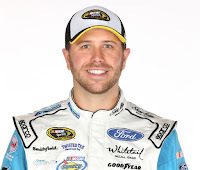 Brian Scott, age 28, is racing his first full-time season in the Sprint Cup Series for Richard Petty Motorsports (RPM). As so many other drivers, Brian began his career in the ARCA Racing Series (part-time) together with part-time racing in NASCAR Camping World Truck Series (CWTS) in 2007. After driving two full seasons in CWTS, Brian moved up a to drive in NASCAR Xfinity Series full-time in 2010 (Braun Motorsports). Moving over to race for Joe Gibbs Racing (JGR) in 2011-2012, his results, in the Xfinity Series, improved step by step with two top-5 and eleven top-10 (2012). 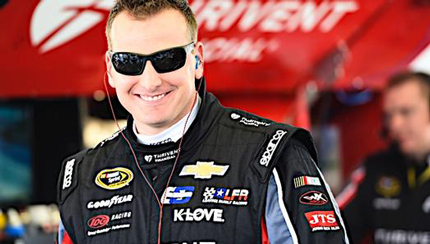 In 2013, Brian switched to Richard Childress Racing (RCR) and stayed there for three full seasons with good results. Brian had never got that win (yet), but his overall ranking of 8 (2011), 9 (2012), 7 (2013), 4 (2014) and 8 (2015) shows us a consistent driver – if given the right car. Brian’s first race in Sprint Cup was at Charlotte 2013 for RCR, driving the #33 car. Brian ended up in position 27 that day. Brian started ten races for RCR last season in Sprint Cup. 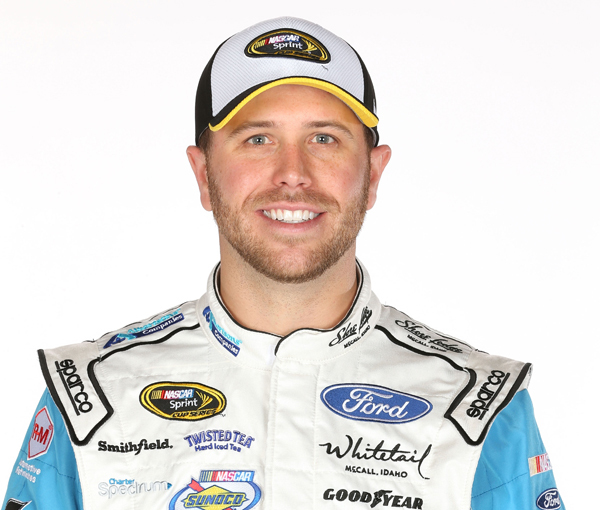 This season, Brian got a full-time seat in Richard Petty Motorsports #44 Ford. Brian’s first four races finishes was what we could expect from the #44 team (24, 31, 27, 27) but the last race at Auto Club Speedway was a breakthrough for Brian and his team. Crew chief Chris Heroy was calling the right shots all day long and Brian’s driving, at the hard beaten track, was impressing. I think this finish will boost team #44 and perhaps we will see a top-10 finish as well this season. If I haven’t picked Kasey Kahne last week, he would easily have made it for this week. A few drivers are dangerously close to make it to the negative list week after week. After the Auto Club 400 race, I had to pick the #16 car. Greg Biffle, age 46, is a veteran driver who started to race as a Sprint Cup full-time driver in 2003. Driving for Jack Rousch in his entirely career, Greg have been successful in the past. Up to now he has raced 479 times (Sprint Cup) and earned 19 wins, 91 top-5, 172 top-10 and 12 poles. His careers best overall ranking was in 2005 with a runner-up position. Greg also raced in the Xfinity Series 1996-2010 (Champion in 2002) and Camping World Truck Series 1998-2004 (Champion 2000). But the time for success seems to be in the past for Greg Biffle. The last win came in 2013 (Michigan) and the results have declined the recent years. Last season, there were only three top-5 and four top-10 finishes with an average finish of 20.0. This is the worst avg. finish in Greg’s career as a full-time driver. This season, Greg’s long time crew chief Matt Puccia was replaced with Brian Pattie, but so for nothing has happened. The #16 car is still hanging out in the back of the field and sometimes I even wonder if the #16 is on the track or not. With five races complete so far, Greg has his best finish at Atlanta (P13) and at Auto Club Speedway his engine failed and he finished in position 37. Greg’s average finish after five races is 25.0. The sun doesn’t seem to shine on the #16 team anymore. 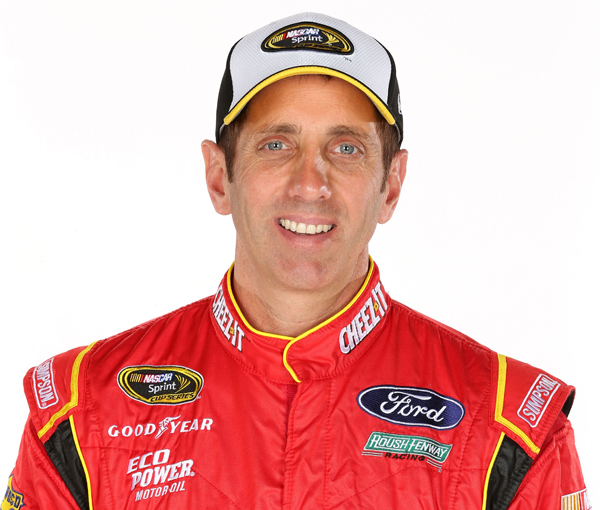 Right now, Greg Biffle’s overall ranking is 27. Last season he ended up in position 20. I think this may be Greg’s last season in Sprint Cup Series. 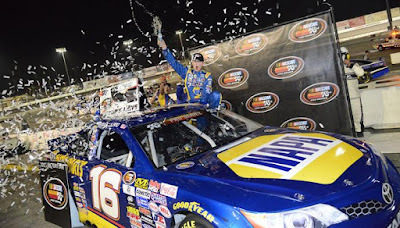 An action-packed day of stock car racing is slated for Irwindale Speedway as the NASCAR K&N Pro Series West kicks off its season with the Toyota / NAPA AUTO PARTS 150 on Saturday, March 19. Chase Elliott, who drives the NAPA AUTO PARTS entry in the NASCAR Sprint Cup Series, will be a special guest at the event – which in addition to the K&N West, will also feature the NASCAR Whelen All-American Series and the Spec Late Model Series in action. Fans will need to arrive early, as Elliott and other drivers making a special appearance at the track are to participate in an autograph session on the front stretch of the speedway, slated to begin at 5:30 p.m. He is also scheduled for a visit with NAPA VIP guests at the event. Elliott, the son of NASCAR Champion Bill Elliott, is in his rookie season in the Sprint Cup Series after replacing Jeff Gordon in the Hendrick Motorsports No. 24 entry. Another exciting season of racing is anticipated this year in the NASCAR K&N Pro Series West, with a great blend of tough veteran drivers being challenged by talented young newcomers. It should make for an exciting event at Irwindale with drivers trying to get a jump on their competition as the West’s oldest stock car circuit launches its 63rd season. 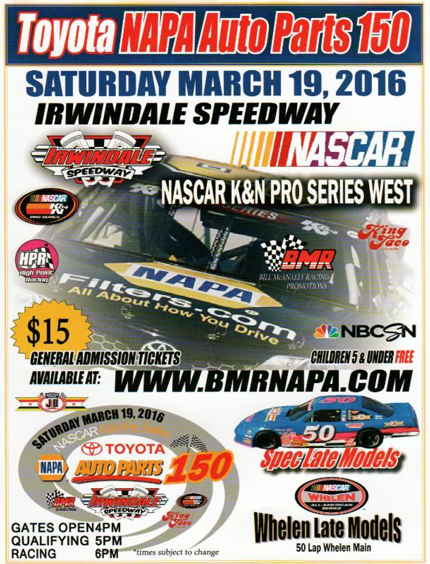 The NASCAR K&N Pro Series West (NKNPSW) season begins at Irwindale Speedway in California on Saturday, March 19. The Series has become the preeminent development proving ground for the sport’s future stars. There are fourteen points races on the schedule, and is highlighted by the annual meeting in the Heartland for the combination race (East vs West) at Iowa Speedway on July 29. NASCAR Sprint Cup Series driver David Ragan announced that he, along with teammate Matt DiBenedetto, would be on hand at the Toyota/NAPA AUTO PARTS 150 K&N West season opener to sign autographs and hang out with the fans. 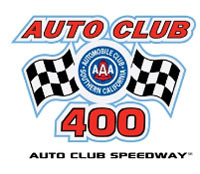 The NASCAR Sprint Cup Series will compete in the Auto Club 400 at the Auto Club Speedway the following night. The 2016 run will begin and end in California. The campaign will get underway in Southern California with a Saturday, March 19 race at Irwindale Speedway, just north of Los Angeles. And in a race that promises an electric atmosphere and fireworks before a traditionally sold-out crowd, the West will decide its champion on Saturday, Oct. 15, at All American Speedway, near Sacramento. In an unprecedented race weekend, the series will compete in two full championship races on Sept. 10-11 at Utah Motorsports Campus, the state-of-the-art road course 30 minutes southwest of Salt Lake City. The series ran at the track from 2007-2014 before it was closed temporarily last year. It is the first time the series will run back-to-back days since 1979, and first time since the series’ modern era began in 1971 that the two races in two days will be run at the same track. After successful inaugural events in 2015, Arizona’s Tucson Speedway and Idaho’s Meridian Speedway are again on the schedule and join series’ staples Kern County Raceway Park in California, Colorado National Speedway and Washington’s Evergreen Speedway. In addition to Utah's two races, California’s Sonoma Raceway will be the third road course event as it hosts its 38th West race on the NASCAR Sprint Cup weekend in June. Orange Show Speedway, the quarter-mile oval in San Bernardino, California, has been in continuous operation since 1947. It held eight West races between 1968 and ’78. In addition to Iowa, Watkins Glen, New Hampshire and Dover, companion events for the NASCAR K&N Pro Series feature East stops at Bristol Motor Speedway, as well as the annual West race at Sonoma. The 27 races that make up the NASCAR K&N Pro East and West calendar will be contested on 26 different weekends. *All times are local and subject to change. 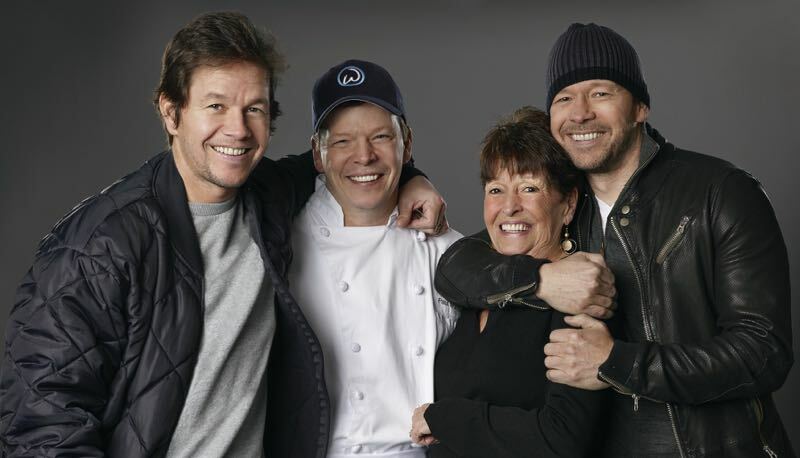 If you love the Wahlburgers and NASCAR; today will be a good day! The fifth season of the A&E Network series the Wahlburgers features Wahlberg brothers Mark, Donnie and Paul along with mother Alma. According to A&E, this will be the biggest season yet, with a growing family business and special guest appearances fans may not believe, including music mogul P. Diddy; NASCAR superstars; and, wait for it … Pope Francis. NASCAR Drivers Dale Earnhardt Jr., Greg Biffle and Ricky Stenhouse Jr. will appear on the “Wahlburgers tonight. NASCAR Race Mom can’t wait. Labels: Dale Earnhardt Jr., Greg Biffle, NASCAR Race Mom, NASCAR Sprint Cup Series, Ricky Stenhouse Jr. The “Top-3 Surprises” list will from now on include both positive and negative driver performance from the last race weekend. A “+” indicates positive and “- “ indicates negative performance below. Brennan Poole, age twenty-five, is a six-time winner in the ARCA Racing Series (2011-2014). Brennan was sharing the seat in the #42 car with another Chip Ganassi driver, Kyle Larson last season. Brennan started seventeen races last season in the Xfinity Series and received two top-10, an avg. start of 16.6 and avg. finish of 18.6. Brennan’s best finish, position 9, was at Las Vegas after starting position sixteen. That was Brennan’s debut race in the Xfinity Series. Brennan has only made one start in the Camping World Truck Series and that was also at Las Vegas last season (GMS Racing – P11). Brennan is still lacking race experience from Sprint Cup, but he was part of Jamie McMurray’s (Chip Ganassi) team last year as an observer. This year, Brennan got a full-time ride with the new #48 team with Chad Norris as crew chief. After four races this season, Brennan has one top-10 finish with an avg. start of 11.5 and avg. finish of 15.5. The Daytona finish (P27) is taking the average finish statistics down a little, but after Daytona, it has been strong solid finishes all the way. I have also noticed that the #48 car is getting its share of valuable “TV-time” in the FOX broadcast, via the so called “DC-Solar onboard” camera. Good for Chip Ganassi and off-course for the sponsor. I think we will see more top-10’s from Brennan Poole this season. 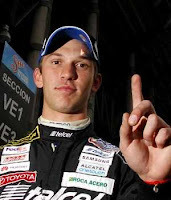 Matt Dibenedetto, age twenty-four, made his debut, not in the Truck Series, but in the Xfinity Series in 2009 at the age of seventeen. Matt only started once in 2009 for Joe Gibbs Racing, driving the #20 car and received a good position fourteen finish. Not bad for a seventeen-year-old driver in his first NASCAR race ever. After 2009, there was limited race time for Matt. In 2011, he had to go back to race in the K&N Pro East Series and a few ARCA starts as well. 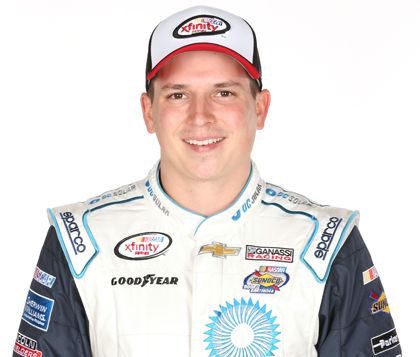 Then in 2014, Matt joined The Motorsports Group, who then raced in the Xfinity Series. Matt start-and-parked the #46 car for twelve races and drove the #40 car for the remainder of that season with a position eleven highlight at Elkhart Lake. In 2015, Matt joined BK Racing and made his Sprint Cup racing debut the same year. 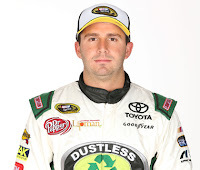 Driving full-time in 2015, Matt started thirty-three of thirty-six races with two DNQ. The statistics is giving us a start average of 36.5 and a finish average of 32.0, with a position eighteen finish at Talladega as a highlight that year. In 2016, BK Racing bought equipment from recently closed downed Michael Walltrip Racing (MWR), including some of the MWR personnel. After a rough start with a crash at Daytona 500 (in car #93), Matt with his team crew chief Gene Nead, have rebounded well. They managed to get their best finish of the season last weekend in Phoenix, ending up only one lap behind in position twenty, after starting in position twenty-three. It seems that BK Racing is trying to, with their full-time starting cars #83 and #23, be a top-30 team once more. I think they got a shot at least. Kasey Kahne, age 36, is a seventeen-time winner in Sprint Cup Series. Kahne has started 436 times in Sprint Cup in thirteen years and earned 86 top-5, 157 top-10 and 27 poles. His best year was in 2012 when he finished fourth in the overall standings. Kasey has also started part-time in the Xfinity Series since 2002 with a good portion of success there as well. Winning his first ever Sprint Cup race in 2005 at Richmond with a Dodge Charger, the road of success was a fact. Taking over Mark Martin’s #5 car in 2012 at Hendrick Motorsports, the expectations were high on Kasey and he delivered his best overall finish that year (P4). After two acceptable seasons in 2013-2014 (Rank 12 and 15 overall), Kasey’s results started slowly to decline. His last win was in Atlanta, 2014. In 2015 season, Kasey only received three top-5 finishes with an average start of 14.9 and an average finish of 18.1. Kasey ended up in position 18 in the overall ranking and that cannot be acceptable when driving for Rick Hendrick. I thought the 2016 season would be a rebound for the #5 team. I also thought that Kasey and his crew chief Keith Rodden would come out strong and hungry and really show that they have what it takes. However, after four starts so far, the avg. start is 14.0 and the avg. finish is poorly 17.0 - with one top-10 at Las Vegas. No laps led so far and in Atlanta and Phoenix the #5 car was not even on the lead lap at the finish. Right now, the overall ranking for Kasey is position 14. It will be interesting to see if this trend will continue or will the team turn things around? On the strength of three consecutive top 10s to start the season, Daniel Suárez took the points lead for the first time in his young – and impressive – career. It was also the first-time in NASCAR history that a driver born outside the United States has led the standings in any NASCAR national series. The Mexico-born driver also matched his best finish of second last weekend at Las Vegas. Suárez is currently three points ahead of second-place Elliott Sadler and seven points ahead of third-place Ty Dillon and fourth-place Brandon Jones. Suárez has made two starts at Phoenix, posting one top five and an average finish of 7.5. NASCAR’s Loop Data points to Suárez running strong in Phoenix. He is ranked in the top 10 in three major statistical categories: seventh in pre-race driver rating (101.1), fifth in average running position (7.4), and first in percentage of laps run in the top 15 (100.0%). In three starts this season Suárez has posted one top five, three top 10s and an average finish of 5.7. 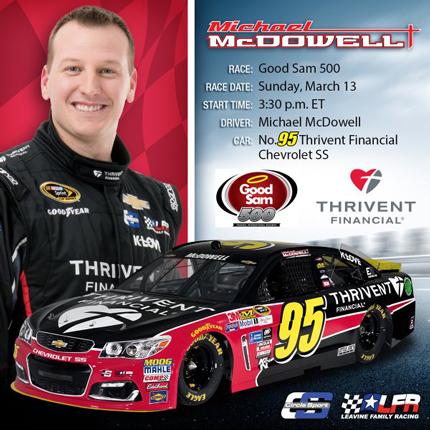 NASCAR Race Mom wishes Michael McDowell the best of luck for his return to his home track. 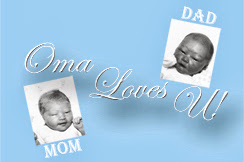 McDowell was born on December 21 1984 in Glendale AZ. It’s fun to race at Phoenix in front of a hometown crowd, said McDowell, who will pilot the No. 95 Thrivent Financial Chevrolet SS. The track makes for really good racing with a lot of side-by-side action. The new pavement and dogleg create a whole new level of excitement. This race in particular is very competitive – there are usually a lot of cautions and plenty of opportunities to pass. It’s a good race for our Thrivent Racing team to come to after being at the mile and a half tracks for two weeks. In the latest chapter last Sunday at Las Vegas, Chase Elliott and Ryan Blaney ran in the top 10 for the majority of the race. Elliott got tangled up in a wreck on lap 225 that ruined his day, but Blaney strolled to a sixth-place showing – his career-high finish at an open-motor track. 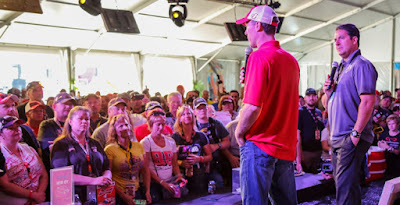 NASCAR Sprint Cup Series stars Kevin Harvick, Danica Patrick and Clint Bowyer are all scheduled to appear at PIR’s Budweiser ROLL-BAR Club for moderated question and answer sessions on throughout the Good Sam 500 NASCAR Weekend. The Budweiser ROLL-BAR Club, located on the west side of the track behind the Bobby Allison Grandstands, features the best in live entertainment each day throughout the entire Good Sam 500 NASCAR Sprint Cup Series weekend at PIR, as well as appearances by some of NASCAR’s top personalities. Driver of the No. 4 Busch Chevrolet, Harvick captured the checkered flag at the 2015 CampingWorld.com 500 in dominant fashion, leading 224 of the 312 laps. 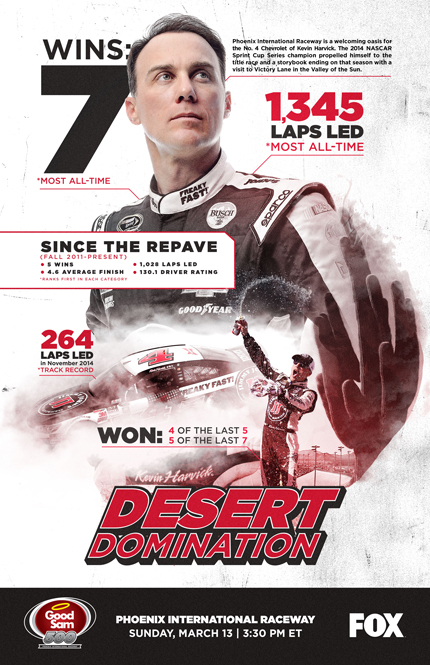 Harvick’s seven wins on the oval at PIR are the most in NASCAR’s elite series at the facility. In addition to winning the spring NASCAR Sprint Cup Series race at PIR each of the last two years, Harvick has won three of the last four fall races in Phoenix. Overall, Harvick is a 12-time winner in Phoenix, with seven Sprint Cup Series wins, four victories in the NASCAR Camping World Truck Series and one race win in the then-NASCAR Nationwide Series. His 12 wins are second-most ever at the track across all competitions, trailing only Ken Schrader, who won 15 races across four series at PIR. Patrick is embarking upon her fourth full-time season in the NASCAR Sprint Cup Series with Stewart-Haas Racing driving the No. 10 Nature’s Bakery Chevrolet and looking to improve upon a career-best finish of 24th in the 2015 Sprint Cup Series championship standings. She recorded two top-10 finishes a year ago and three in 2014. In seven starts at Phoenix, Patrick finished a career-high 16th in the most recent Quicken Loans Race for Heroes 500 race in November 2015. Driver of the No. 15 5-Hour Energy Chevrolet for HScott Motorsports, Clint Bowyer will make an appearance at the ROLL-BAR ahead of his 22nd start at PIR. Entering his 12th season in the NASCAR Sprint Cup Series, Bowyer has a total of eight career wins including a season-high three in 2012 where he earned a runner-up finish in the Series standings. Bowyer will be looking to make the most of his first season with HScott Motorsports and improve on his two top-five and six top-10 finishes in Phoenix. Single-day tickets to the Budweiser ROLL-BAR Club are available for $99 on Saturday, March 12 and for $149 on Sunday, March 13. The additional purchase of a grandstand ticket is still required for track admission. · Alan Kulwicki won the first NASCAR Sprint Cup Series race at Phoenix on Nov. 6, 1988. · The first spring race was held on April 23, 2005 and also the first night race, which was won by Kurt Busch. 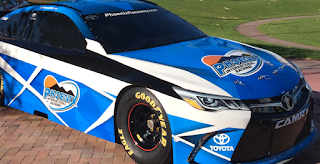 · There have been 39 NASCAR Sprint Cup Series races at Phoenix International Raceway, one per season from 1988-2004 and two each season since. · 203 drivers have competed in at least one NASCAR Sprint Cup Series race at Phoenix; 148 in more than one. 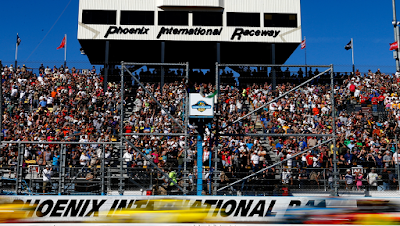 · Mark Martin and Jeff Gordon lead series in starts at Phoenix with 34 each; Dale Earnhardt Jr. and Ryan Newman lead all active drivers with 27. 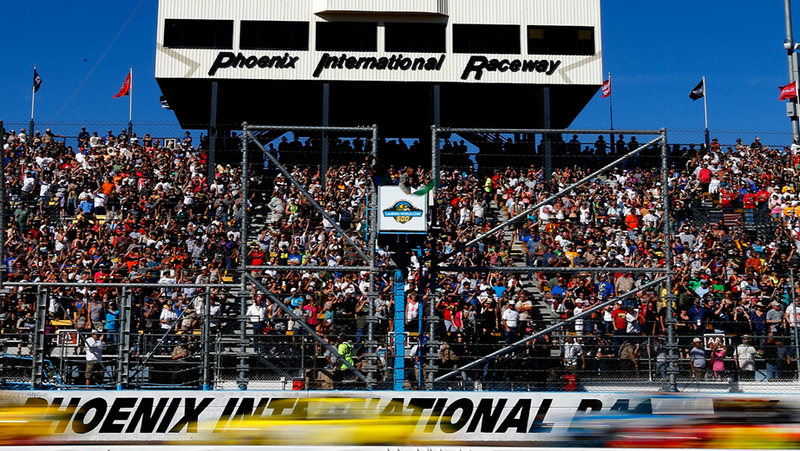 · Rusty Wallace leads the series at Phoenix in average starting position (8.053). 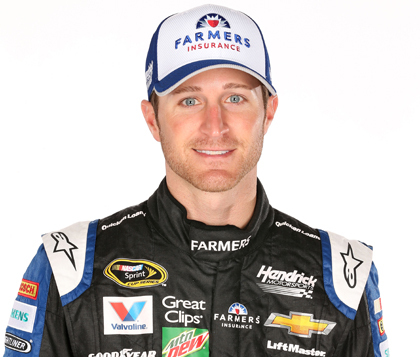 Kasey Kahne leads all active drivers with a 11.565. No driver is as automatic at a track as Kevin Harvick is at Phoenix International Raceway. The No. 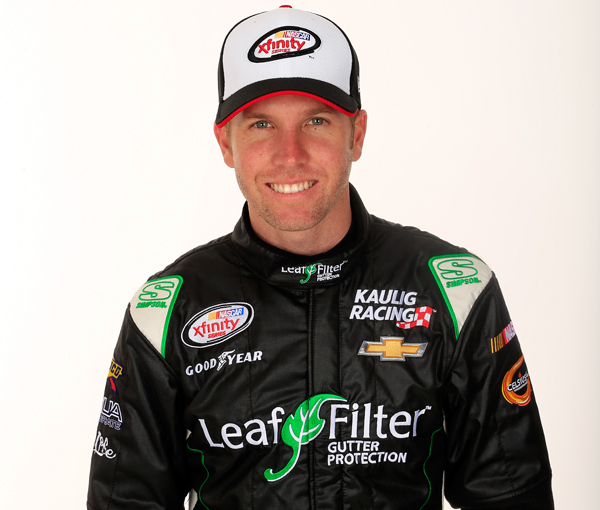 4 Chevrolet driver has won five of the last seven races, including four of the last five at the one-mile track. Overall, he boasts a record seven victories at the Arizona oval and will go for number eight in Sunday’s Good Sam 500 (3:30 p.m. ET on FOX). Kevin Harvick has started the season off strong, logging finishes of fourth (Daytona), sixth (Atlanta) and seventh (Las Vegas). Driver Ratings compiled from 2005-2015 races (22 total) among active drivers at Phoenix International Raceway. Harvick’s 1,345 career laps led and his 264 laps led in a single race (Nov. 2014) are both track records. Since PIR debuted its repaved surface in Fall of 2011, Harvick leads all drivers with five wins, a 4.6 average finish, 1,028 laps led and a 130.1 driver rating. 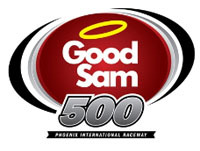 Looking to make your plans for the Good Sam 500 NASCAR Weekend at PIR? Mark your calendars and set your watches; below, you'll find the full fan schedule for race weekend at ZOOMTOWN, U.S.A.® Phoenix International Raceway. Please note, schedule is tentative and subject to change. 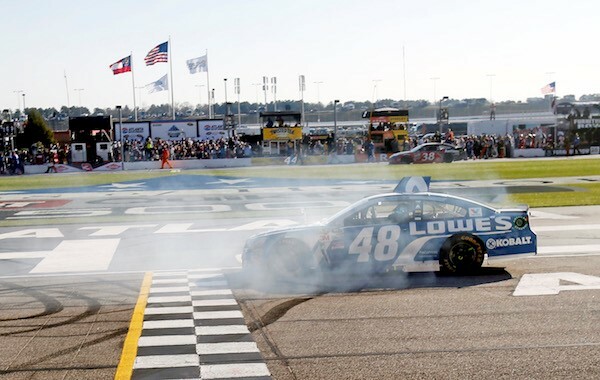 He may not have stormed from the back of the field like he did the previous year, but Jimmie Johnson still moved himself up a notch in the Atlanta Motor Speedway history books with his repeat victory at the 2016 Folds of Honor QuikTrip 500. The win was Johnson's 76th in the NASCAR Sprint Cup Series, tying him with one of, if not the, most iconic drivers in NASCAR lore, Dale Earnhardt, Sr. 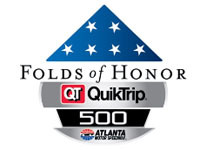 Put simply, if you were here for the Folds of Honor QuikTrip 500, you witnessed a piece of NASCAR history. The significance of tying the mark set by the driver known as "The Intimidator" was not lost on Johnson, who during his victory lap, held up three fingers as a salute to Earnhardt, who drove a No. 3 car. "I entered the sport just hoping I could win a race and keep a job for a few years, and to have 76 and tie Dale Earnhardt Sr. is something I'm very, very proud of. I didn't have a chance to race against him, unfortunately, but today -- there's been a big void in my mind about not having that chance to race against him, and it was literally a handful of months away from having that opportunity," Johnson said. " So to tie him today, for myself personally, it gives me a little something -- it's a little bit of attachment to the great Dale Earnhardt and something I'm very proud of." Among the drivers in the garage that noticed the gesture was second-place finisher Dale Earnhardt, Jr.
"I told him on a couple occasions that when he tied daddy, he'd better say something cool, and he'd better tell them that it's awesome for him to tie him, because I know Jeff had the flag and all that, so that was awesome when your competitors and peers recognize your father like that," Earnhardt Jr. said after the race. Johnson now has five Atlanta wins, the most among active full-time drivers, and is tied for fifth with Bill Elliott, Jeff Gordon and Bobby Allison. 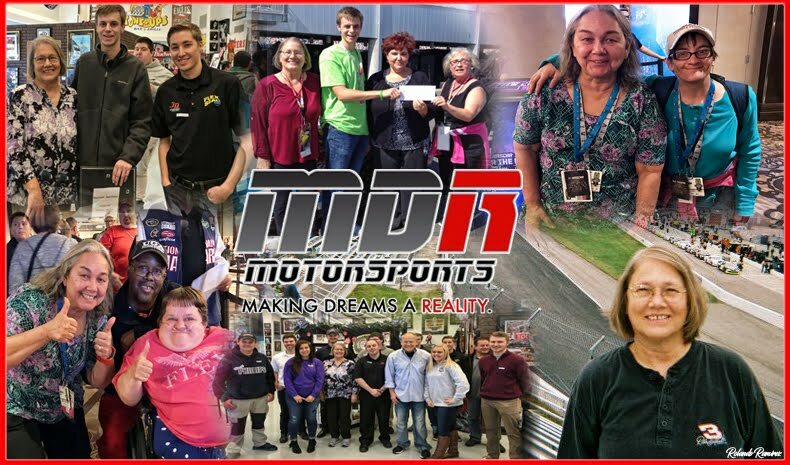 Celebrities and autograph sessions and drivers!!! With PIR's Driver and Celebrity Appearances schedule they give you the lowdown on where to be and when, because we all know you’re out to get that next favorite selfie. 2:30 p.m. // NSCS Youth Autograph Session (12 and under)*, Fan Midway near Corporate Village *First 100 Youths 12 and under, wristbands & line begin at 1:45 p.m.
8:15 a.m. // NXS Autograph Session**, Fan Midway near Corporate Village **First 150, wristbands & line begin at 8 a.m.
Don't miss the Phoenix International Raceway Show Cars around the valley leading up to the Good Sam 500 NASCAR Weekend and Phoenix Grand Prix IndyCar Weekend. Friday, March 4 // Westgate Entertainment District 4 p.m. - 9 p.m.
Saturday, March 5 // Westgate Entertainment District 3 p.m. - 8 p.m.
Sunday, March 6 // Westgate Entertainment District 10 a.m. - 2 p.m.
Saturday, March 19 // Tempe Marketplace 12 p.m. - 6 p.m.